Financial planning firms typically go through different evolutions as they progress from the point of launch to the point of growth. Throughout every evolution, business needs also change. In the launch phase, advisors are focused on their initial marketing launch plan: getting in front of potential clients and then converting those prospects to clients, actually signing their first few clients, and setting up their base services and fee structure. The launch phase is largely about establishing your client base—and subsequently revenue—and setting a foundation for your business. Once you have accomplished this, it’s time to grow. Growth will come from evaluating what worked and what didn’t work early on and making changes accordingly: refining who your ideal client is and how you communicate with them, updating processes to enhance the client experience, and making your business more effective. 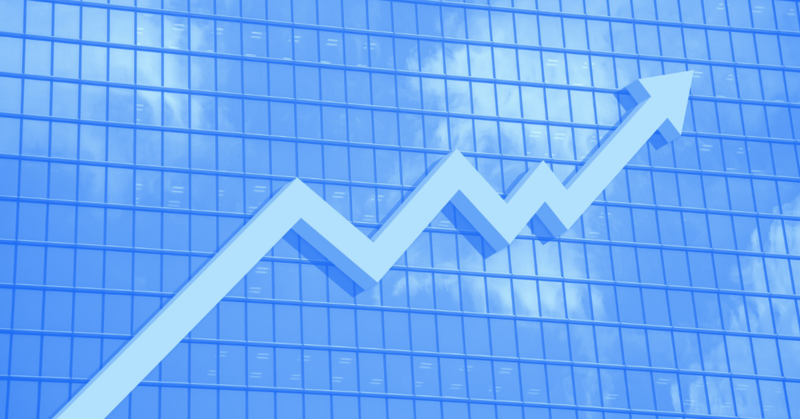 Growth is exciting (and scary) for any business, and at some point as your business continues to grow, you will near, if not reach, capacity. At this time, most financial advisors start to think about the longer-term plan for their business. Do you want to continue to grow? Do you want to hire additional financial advisors and build an enterprise business? Are you happy with the size and revenue of your firm? Or are you more interested in building a lifestyle practice that allows you to achieve your ideal work-life balance? Growth forces advisors to consider these options and make decisions about the long-term plan for their business. This was one of the reasons we developed XYPN PAUSE, a program designed to give advisors who are approaching this point in their firms the opportunity to step back and evaluate their current business and develop a business strategy to help them achieve their goals. We partnered with Human Scale Business to develop the XYPN PAUSE program. Below, Human Scale Business co-founder Dave Bayless explores the implications of growth every business owner should consider. Growth is neither inevitable nor random. Even though control is a fantasy, growth lies within the realm of choice. Business cheerleaders who uncritically champion the cultivation of rapidly growing “gazelles” seem to think that growth is unambiguously good. It’s not. Growth generates opportunities and challenges alike. You’re the one with skin in the game. It’s risky to simply let growth happen…or not. Be deliberate. Be strategic. Don’t relinquish choice. Among the numerous opportunities that come from growth are those associated with one’s personal growth. While I relish the autonomy afforded me by being a partner in a two-person strategy consulting firm, larger firms offer the chance to help shape and develop the capabilities and careers of others. Growth tends to expand the range of products and services you can offer customers as well as the scope of responsibilities within the firm. A 200-person firm can offer variety that smaller firms like mine would find difficult to match. Almost all firms can benefit, to some degree, from economies of scale. Fixed costs translate into operating leverage. Profitability can sometimes be improved just by growing. Furthermore, there are potential economies of scope. Once you’ve incurred the cost of getting face-to-face with a prospective client, it’s helpful to be able to offer more than one service. Larger firms tend to enjoy better access to capital. Lending, for instance, is characterized by significant economies of scale. Consequently, a banker is usually far more interested in making a $5 million loan than a $500,000 loan. In addition, a firm with a management team is considered more financeable than a one-woman operation. Improved access to capital creates options for accelerated growth, stock buy-backs, or other recapitalizations. Relatedly, larger and growing firms tend to demand higher valuations and have more “exit” options. Mergers and acquisitions are a lot of work. Broadly speaking, it’s easier and more lucrative to execute a large acquisition or buyout than it is to get a small deal closed. Selling shareholders tend to benefit from the economics of the deal business. Get big to get rich. Larger firms can potentially benefit from a longer life, which reinforces advantaged access to capital and valuation. For starters, having a successor to manage the firm when you’re ready to move on has an obvious effect on firm life. Aging founders tend to lose their enthusiasm for new business development. At the same time, clients don’t want to be cut loose when their longtime service provider decides it is time to retire. Continuity of management can have a positive impact on customer retention. Taken together, continuous inflow of new customers and the retention of existing customers contributes to sustainability. While bigger organizations tend not to be as lean as their smaller counterparts, that organizational “fat” can also provide a degree of cushion when the business hits a rocky patch. Efficiency can be brittle. The mass that characterizes a larger organization creates inertia, but sometimes that works to the benefit of the organization because it can absorb shocks. Let’s face it, the founder of a $1 billion firm tends to attract more attention and accolades than does the founder of a $1 million firm. When it comes to attracting the limelight, bigger is better. Society needs—and rightly celebrates—heroes. However, what’s good for society isn’t always good for heroes. 60% of Medals of Honor have been awarded posthumously. Again, there’s nothing inevitable about growth. You must be in the right place at the right time with the right products and services. Growth is the reflection of a collaboration with your customers. The star musician might have talent, charisma, and drive, but her success requires a willing audience. Even when the ingredients for growth are in place, growth is challenging, sometimes in surprising ways. Too often, these are dismissed as “high-class problems.” Today’s high-class problems have a way of becoming tomorrow’s crises. If some of the benefits of growth are experienced in social terms, so are some of the challenges. While organizations can scale, social relationships cannot. Interpersonal distance can aid decision-making. It helps that the General doesn’t know the soldiers he’s sending into harms way. The weakening of social connection is not without a downside, though. More objectively, firms become more mediocre as they grow. Small teams can be extraordinary in their chosen domain. The larger the firm, the more likely it is that it will reflect the average characteristics of the population. The largest operational unit of the Navy SEALs is the platoon—16 people. An Army rifle platoon consists of 42 soldiers. Each has a different set of capabilities, but the former is generally considered more elite. While the visibility of leading a large firm can bring prestige, it can also be isolating. True partnerships can be difficult to maintain. That may be particularly true as a company grows. Economies of scale and scope are easier to hypothesize than realize. Even when they are achieved, the benefits must often be shared with customers (in the form of lower prices) and employees (in the form of higher wages and benefits). The financial benefits of bigness don’t always trickle down to the founder. In addition, the organizational fat that helps larger companies be more resilient is not free. It becomes easier and easier for fat to accumulate and absorb profit. Furthermore, it’s hard to deliver extraordinary financial performance with an average workforce. It’s easier for employees to withhold the best of themselves in a large organization. Finally, perpetual growth is illusory. Eventually, growth slows. Moving the needle gets harder and harder. Laura Black and I co-founded Human Scale Business because we were astounded by how complex small business had become. Technology stacks, global supply chains, and distributed teams have come to characterize many micro-firms. Even so, larger firms tend to be even more complex. Designing an effective organization, cultivating a productive culture, managing and developing people, and dealing with interdependencies, collaborations, and delays are not always a good time. Learning can be intrinsically rewarding but the constant pressure to learn can be tiresome. The point is, growth represents intertwined and oft-conflicting opportunities and challenges. Anyone who claims otherwise is trying to sell you something. So, how do you maintain effective choice regarding growth? Others can help inform your choice but only you can gauge the net weight of the evidence. What might be the right choice for me in a certain circumstance might be wrong for you. Listen to your peers and others—and trust yourself. I would advise, however, to embrace the uncertainty associated with growth. Use (many) models to explore possible futures, identify the conditions under which your hypotheses can be true, and hold your predictions loosely. By doing so, you’ll be able to “push back the fog” of uncertainty a bit in order to anticipate what’s coming down the road. That might buy you enough time to react to reality without careening into the ditch. When I got out of business school, I had this sense that business was a paint-by-number proposition. I was naive. Business is dynamic and complex, and the choices we make in business have lasting consequences, for better and worse. It’s the freedom of choice that makes business worthwhile. 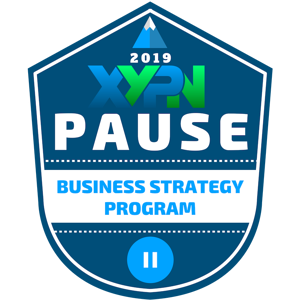 Learn more about XYPN PAUSE, the business strategy program designed to help XYPN members literally pause and work on their business at the strategic level. 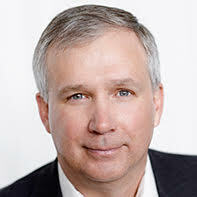 Dave Bayless has contributed to the launch, reorganization, or growth of several companies as a co-founder, management team member, and advisor. He's played strategy, finance, administration, product development, and operational roles. Dave started his career in banking and private equity, where he had a key role in more than $500 million of capital commitments. As a member of entrepreneurial teams, he's helped raise more than $30 million of equity. 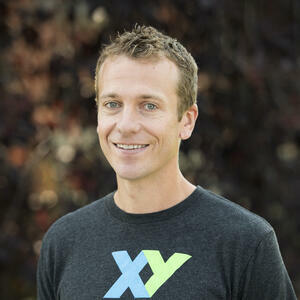 As a co-founder of Human Scale Business, Dave helps to apply a variety of modeling techniques to aid decision-making at small but inherently complex businesses. He earned a BS at Montana State University and an MBA at Northwestern University's Kellogg School of Management.